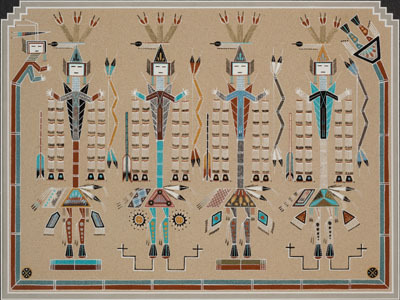 New Acquisitions: The James Nolan Collection of Southwestern Art presents newly acquired objects in this small but select exhibition. Through the generosity of James Nolan, the UW Art Museum's collection of art from the American Southwest was established in the early 1990s. Since 1992, Nolan has donated an extraordinary collection of objects that include 92 kachinas, 11 Navajo rugs, 70 clay objects, and 18 baskets. 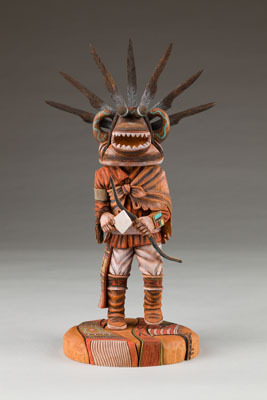 Nolan's most recent contribution includes a variety of objects, from kachinas to pottery, and a sand painting. New Acquisitions: The James Nolan Collection of Southwestern Art presents these newly acquired objects in this small but select exhibition.